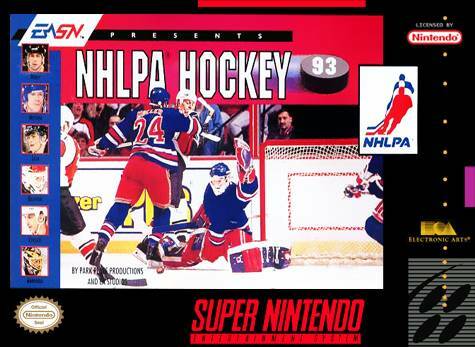 NHLPA Hockey '93 for Super Nintendo includes more than 500 professional players with complete statistics. An aggressive computer AI plays tough defense and makes big hits. Now, the goalies are more intelligent and make dives and lunges to stop tough shots. While you are going through the season, you will have to adjust and try to survive the injuries that occur during the season.